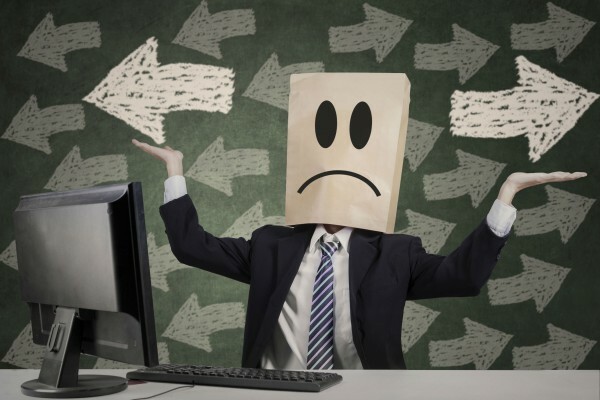 Digital transformation is increasingly critical to business success, yet a new survey of technology professionals shows that 47 percent lack confidence in the digital literacy of their leadership. The study by technology association ISACA shows less than 25 percent of organizations believe their senior leadership is very receptive to adopting emerging technologies, while 20 percent are believed to be not receptive at all. 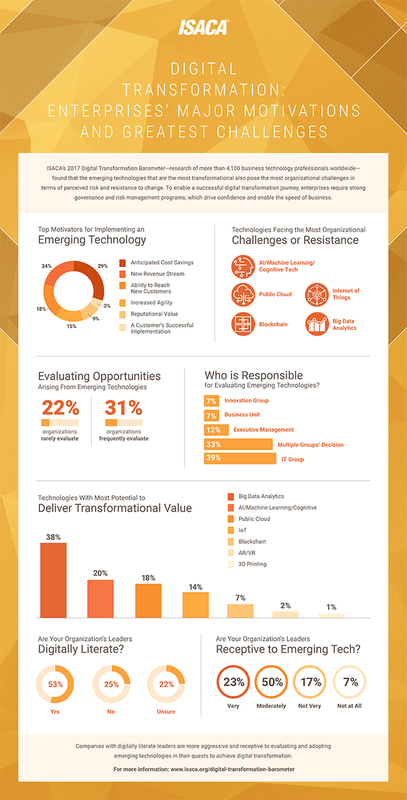 Big data analytics is ranked highest in the chance of delivering transformational value to organizations (38 percent), easily besting AI/machine learning/cognitive (20 percent), public cloud (18 percent), IoT (14 percent), blockchain (seven percent) and AR/VR (two percent). Technologies are viewed differently in specific industries. For example, healthcare and financial services have a higher aversion to public cloud adoption, primarily because of regulatory constraints, whereas the technology sector is far more open to the public cloud. "With this research, ISACA's global membership provides a digital transformation reality check that assesses actual technology adoption plans, levels of sentiment of support and concern, and monetary commitments to deploy emerging technology by geography and industry," says ISACA CEO Matt Loeb. "The resounding message from our research is clear: senior leadership needs to invest in increasing its digital fluency. Organizations with digitally fluent leadership are more clearly recognizing the benefits and risks of emerging technologies." Technologies like the Internet of Things are still considered risky. 66 percent of global respondents ranked IoT to be among 'high risk' technologies, a number that jumps to 96 percent when including an assessment of 'medium to high risk'. Resistance to IoT adoption is highest in sectors most likely to be affected by loss of sensitive data, including healthcare (71 percent) and government/military (69 percent). 74 percent of surveyed business technology leaders are moderately to extremely concerned about their organization's ability to safeguard connected devices. You can read more about the findings in the full report available from the ISACA site and there's a summary in infographic form below.